Looking for the best boutique hotels in Prague? It can be tough to find the best Prague hotels, but we’re here to help. 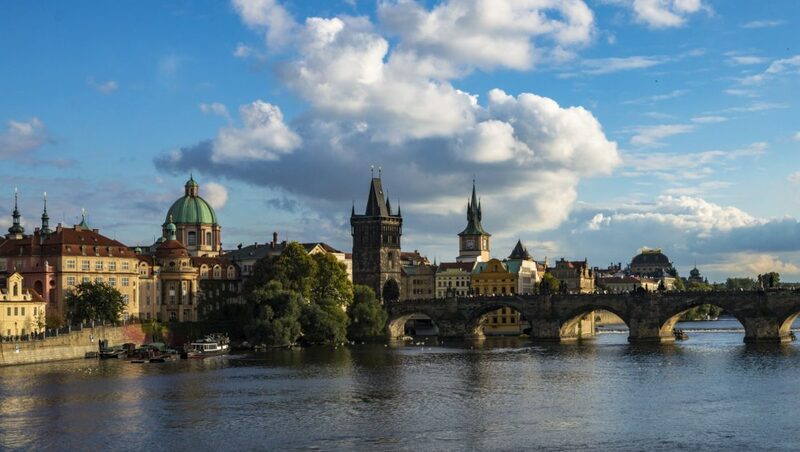 Since Prague has become one of Europe’s top tourist destinations there are now numerous hotel options available. More than you can count, really. We’ve compiled a list of some of the best hotels in Prague to narrow down your options, and to make your stay in this fascinating city stand out. Prague is easily one of the most visually breathtaking cities in the world. Nicknamed the “City of 100 Spires”, Prague’s eclectic mix of architectural styles show how it has survived numerous invasions, wars, fires, and floods over the centuries. Prague Castle sits atop a hill, sheepishly surveying the city as tourists and residents navigate their way through cobbled streets. Charles Bridge is another must-see in this city, connecting the banks of the Vltava River. Prague is dotted with parks and squares, where you can relax and soak up the atmosphere of this fairy-tale city. Prague isn’t just a city for history nerds or architecture buffs though. 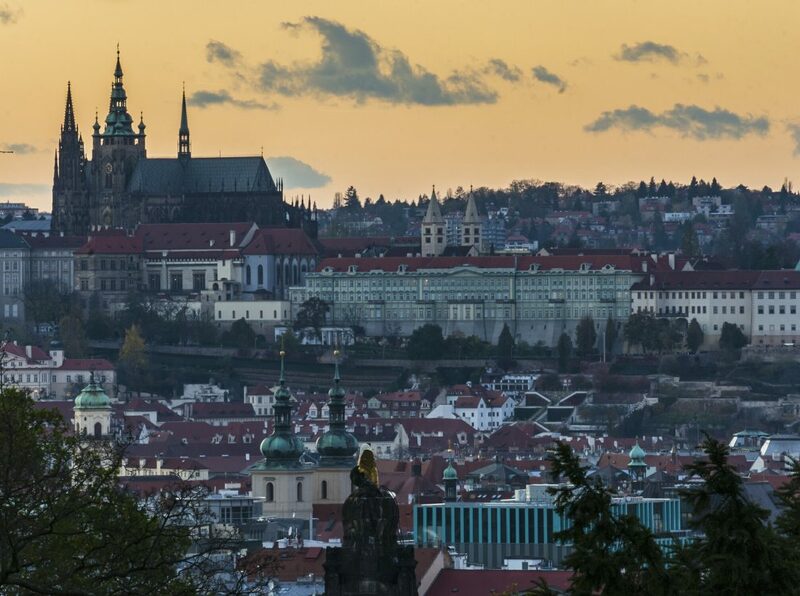 Although it’s over a thousand years old, Prague is young at heart. Prague’s gastronomy is something that you should definitely experience. Traditional food is great, but you can also find a variety of international and vegan cuisines. You won’t have to worry about going hungry! If you enjoy a beer or two, then you’ve come to the right place. The Czech Republic is famous for consuming the most beer per capita in the world, and it makes sense! Beer is super affordable, and there are so many nice spots to enjoy a cold one that it’s hard to say no! Additionally, Prague has a vibrant nightlife scene that is often overlooked. Numerous bars, pubs, beer-gardens and clubs are dotted around the city – so you’ll be busy until the wee-hours of the morning! The modern artistic scene is also fascinating, and you’ll find galleries and tasteful street art all over the city. We know how it feels to want to pamper yourself when traveling every once in a while. So, we have put together this list based on what we personally expect out of a great hotel. Clean rooms, comfortable beds, modern bathrooms, safety facilities, interesting design, and entertainment options are all things we take into consideration when choosing the hotels that make it onto our list. Spas, saunas, pools, buffet breakfasts… those are all added bonuses! All of these are factors when it comes to making our selection of the best hotels in Prague, Czech Republic. If you guys are looking for a luxury hotel, or a hostel, make sure to check out our guide to the best places to stay in Prague! Located a short five minute walk from Prague Castle, Vintage Design Hotel Sax is one of the best hotels in Prague due to its fantastic location in the historic centre, and its great atmosphere. The Charles Bridge is only a 10 minute walk away, and many of Prague’s top attractions are easily accessible with the metro. Deciding to stay at one of the many central Prague hotels is a great idea because once you step outside you’ll find yourself walking on its cobbled streets and met with stunning architectural views wherever you look. Each room is luxuriously decorated with unique pieces of designer furniture from the 50s, 60s, and 70s. 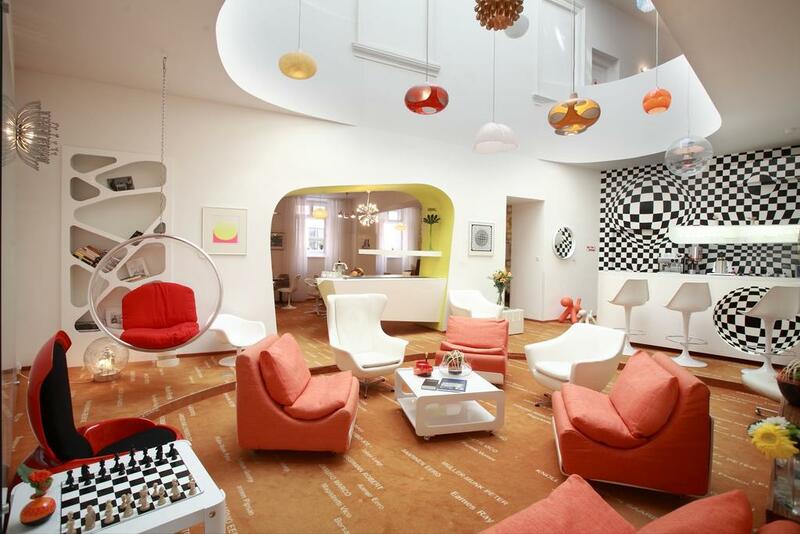 Bright colors and bold patterns give the rooms a retro ambience, and you’ll feel like you’ve entered a time warp! Filled with curious artwork and decorations – there’s always something to look at! Each room is air-conditioned to ensure you don’t overheat during the warm summer months, and is equipped with a flat screen TV to relax in front of in the evenings. The buffet breakfast particularly stands out, offering fresh fruit, delicious Czech pastries, and rich coffee. Large balconies provide views of Prague’s captivating red rooftops and historic architecture. This hotel is a great choice if you’re seeking modern comfort in the heart of Prague. 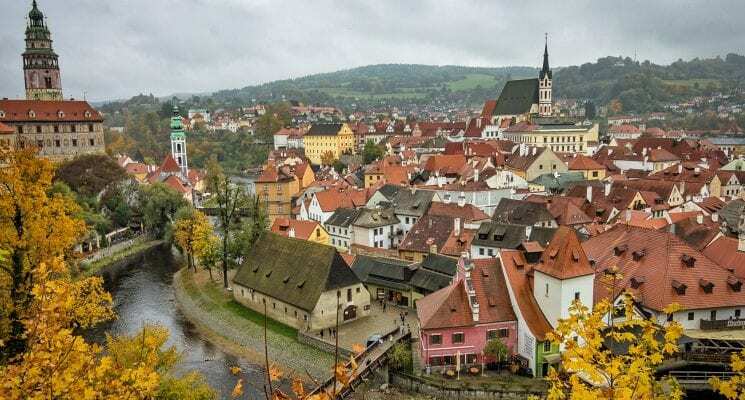 Plus, in the surrounding area you’ll find plenty of reputable restaurants and traditional pubs to sample some famous Czech beers. U Kocku Palace, a newly renovated boutique hotel, is housed in a the Baroque style building. If you want to feel like a royal for a few days then we highly recommend Palac U Kocku as one of the best hotels in Prague! Located just a few minutes from the Old Town Square, the central location of this palace means you have some of Prague’s most fascinating sights right outside your door! Located on the Royal Route of Prague’s sightseeing trail, Palac U Kocku is the ideal option if you’re interested in learning about Prague’s history, architecture, and culture. There are plenty of restaurants and bars around too if Czech gastronomy and beer is more aligned with your interests! 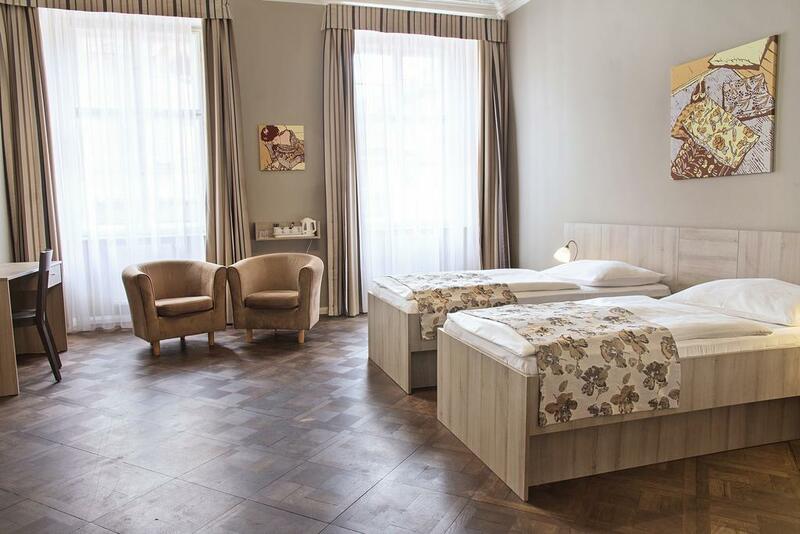 The rooms at Palac U Kocku provide you with everything you need for a comfortable and effortless stay and make it one of the best Prague hotels. Rooms are simple yet elegant, with magniflex mattresses for optimum comfort and spotless en-suite bathrooms. Each room provides a television, internet access and safety deposit boxes to store your valuables. The rooms are bright and airy, with big windows opening up views of surrounding city life. The ground floor of Palac U Kocku features a display of traditional Czech jewelry, glass, and porcelain. There are also two restaurants on-site, Restaurant Fat Cat which specializes in American cuisine such as burgers, and Casserol which serves international cuisine in the Gothic cellar. Great location, elegant rooms and affordability make Palac U Kocku one of the best and most authentic boutique hotels in Old Town Prague. Unbeatable (yet quiet) location in the historic centre, comfortable and modern rooms, and friendly staff are just some of the reasons why Hotel Majestic Plaza is one of the best hotels in Prague. Situated only 300 m from famous Wenceslas Square, it’s right in the heart of the city! Exploring Prague on foot, by bike, or with public transport will be a breeze with this hotel as your base. This Prague hotel’s art-deco theme and gold and red color scheme give it an old-timey vibe, and the hotel provides guests with all the classic comforts you would expect from a hotel of this caliber. The rooms are spacious, modern and spotlessly clean. Each room is equipped with air-conditioning and a flat screen TV. The room with a balcony and castle view comes highly recommended, so you can start your day over a coffee and a croissant looking up at this 9th century architectural accomplishment. Tea and coffee making facilities are available in every room, and many rooms provide balcony views over the city. The hotel also includes access to a tasty buffet breakfast. Breakfast is, of course, the most important meal of the day. So when your hotel offers a breakfast like this one, we highly recommend you take advantage of it! Take your pick from bacon and eggs, fresh pastries, cereals and fruits. If you want to add that little bit of flair to your morning, this buffet breakfast offers free champagne too! Hotel Majestic Plaza has a restaurant on-site, serving exceptional international cuisine as well traditional Czech food and beer. 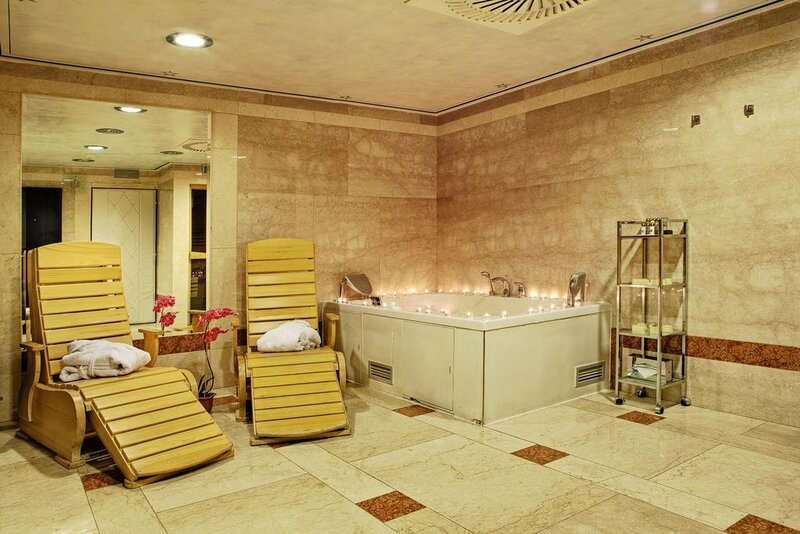 There’s also a spa area with a sauna and hot tub, so you can relax after a long day on your feet. Staff are friendly and fluent in English, and are always willing to offer advice or provide information about the city they call home. So if you’re seeking a luxury hotel in the centre of Prague, Majestic Plaza is definitely a great choice as one of the top Prague hotels! Located in the heart of the business and historical centre of Prague, Grandium Hotel one of the best hotels in Prague for those seeking luxurious and comfortable accommodation in this mesmerizing city. Offering 197 design rooms of various sizes, from double to grand suite, each elegantly decorated room provides modern bathroom facilities, air-conditioning, internet access and safety deposit boxes. For optimum relaxation they also provide bathrobes and slippers, a flat-screen TV, and a minibar! Free L´Occitane cosmetics and Czech homemade honey are some added bonuses! Rooms are simple and stylish, decorated using natural colors to create a natural, airy atmosphere. 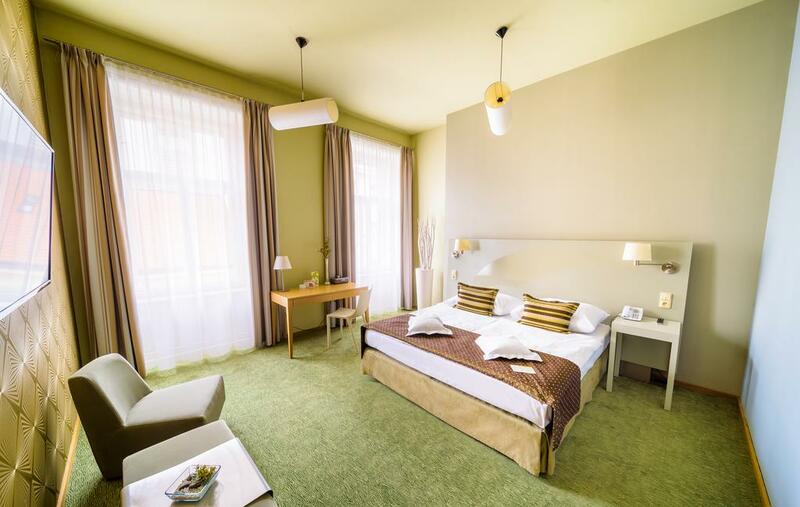 Rooms at Grandium provide you with everything you need for a relaxing weekend in Prague. A buffet breakfast is included with your room. When you finally decide to start your day and descend to the dining room, you’ll find delicately laid tables awaiting your hungry stomachs. Choose from homemade sausages, eggs, and vegetarian options. Or if you prefer something lighter, check out the cold-table where you’ll find salamis, cheeses, fresh fruits and cereals. Unlike many Prague hotels this one has the luxury of an on-site restaurant called InGarden Noodles Restaurant Café serves lunch and dinner options. It’s theme is “noodles”, and their meals are refreshing takes on traditional Italian and Asian dishes. When the sun shines, you can enjoy your pasta in the airy courtyard. 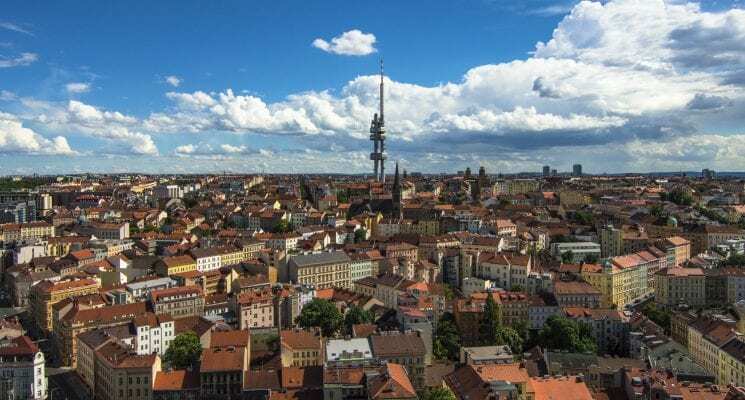 Situated within walking distance to many of Prague’s top attractions, such as Wenceslas square and the National Museum, Grandium is the ideal choice for those who don’t want to waste precious time on public transport. The hotel also features a tour desk, where you can enquire about day-trips from Prague or request information about the city from its insiders. Housed in a stunning neo-Renaissance style building, Hotel Kings Court was formerly home to the Czech chamber of commerce, but has since been transformed into a luxury boutique-style hotel. If you want to splash out a bit to make your stay in Prague a truly memorable one, then Hotel Kings Court is the ideal choice. Centrally located next to the historic Municipal House and the Na Prikope shopping street, this is the ideal location to explore Prague. 138 lavishly decorated rooms lie behind the ornamental facade of this hotel. 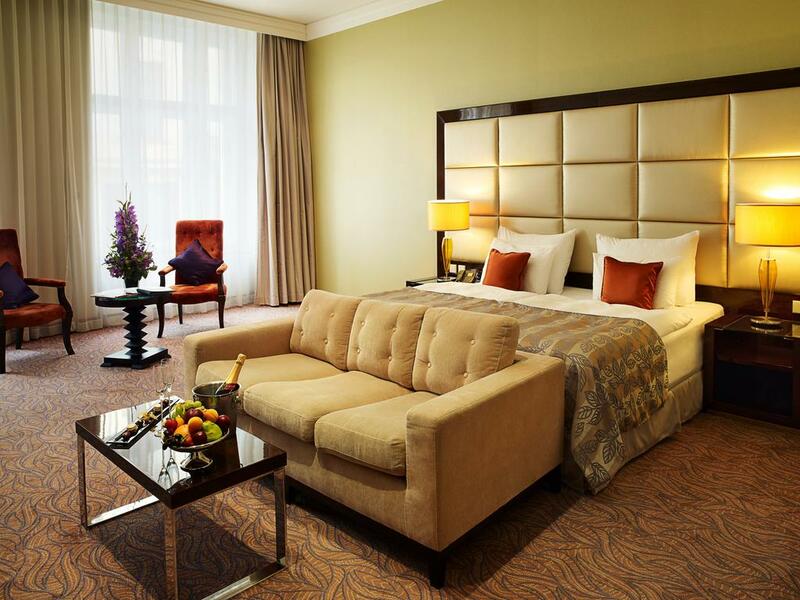 Each room provides you with everything you need to live like a king or queen for a few days! Deep reds, patterned wallpaper and dark wooden furniture give these rooms the feel of being straight out of the 18th century. As expected, each room is air-conditioned, and provides a flat-screen TV and large safety deposit box for all your valuables. The Vodka lounge bar has a relaxing atmosphere where you can enjoy a variety of cocktails and traditional Czech beer. There’s also a restaurant on-site which serves highly recommended international cuisine. In the morning, a buffet breakfast is served from delicious fresh and local ingredients. We’ve saved one of the best Prague hotels things for last! Hotel Kings Court also features the exclusive Spa Kings Court which offers guests access to an indoor pool, Finnish sauna and steam bath. If you really want to treat yourself you can even book a private massage! If you’re seeking 5-star boutique accommodation in Prague then this is the ideal choice. Fantastic location, stunning views, and a number of unique features mean that Hotel Kings Court is one of the best hotels in Prague for travelers with more lenient budgets! 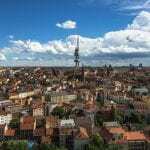 Want more accommodation options in Prague? Click here for a guide on where to stay in Prague for any budget.